When you visit our Crestline dental office, your smile is our top priority. Our entire team is dedicated to providing you with the personalized, gentle care that you deserve. We have been proudly serving both Crestline, OH and many surrounding areas. Along with all the general dental services that you and your entire family require, Dr. Matthew C. Schaeferle & Dr. Tammi J. Schaeferle also offer the most popular cosmetic dental procedures such as Zoom! Teeth Whitening, Invisalign, Porcelain Veneers and much more. Our Goal is to provide exceptional dental care by a team of caring professionals using the best materials available. Comfort and safety are always top priorities as we strive to create the most beautiful and healthy smiles possible. 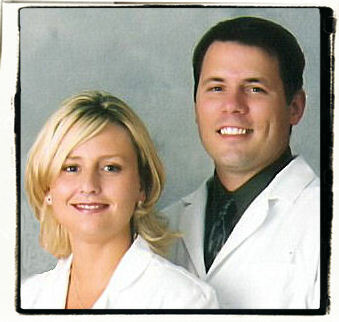 We genuinely hope this site is helpful to you in learning more about our Crestline, OH dental practice, dental conditions and treatments, dental recommendations, and more. Our convenient Crestline location makes our office easily accessible from many surrounding areas. Matthew C. Schaeferle, D.M.D., F.A.G.D. Tammi J. Schaeferle, D.D.S., F.A.G.D.